Our Unitarian Universalist Religious Education program is designed to make our children religiously literate. Our children learn about beliefs of the world’s major religions and develop an understanding that divine inspiration is not restricted to a single book. In a world increasingly filled with accusations and counter-accusations, UU children may be our most promising hope of religious co-existence. At Northwest, we believe that learning is a gift we can enjoy throughout our lives. To share this gift, we have designed learning programs to meet the needs of children throughout adolescence. Nursery (0 – 3) Infants and toddlers have their own nursery and play area with supervision provided by paid and volunteer staff in our main sanctuary building. Children (PreK – 5th) For our Pre-K through 5th grade children, our Religious Education (RE) program provides them opportunities to explore. Using many Sources for learning, including Spirit Play and Tapestry of Faith, Unitarian Universalist (UU) Religious Education helps children build a foundation of ethics, faith, spirit, and UU identity. Children attend the beginning of the service with the congregation each Sunday, and after Story Wisdom, move to their classrooms for specific programming. Youth (6th – 12th) Our Middle and High School Youth Groups meet on Sunday mornings at 10:15. They build community through weekly check-ins, worship, business, and fun. They also participate in multiple social justice projects. Our religious education program year runs August through May. During the summer months, we offer other fun activities during the Sunday service. 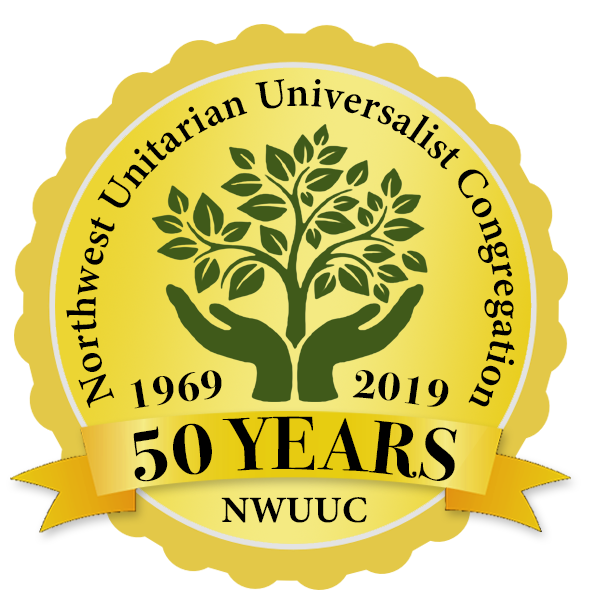 Please email re@nwuuc.org and someone will be in contact with you soon.